“Rakshasa Street” 《镇魂街》 is based on a manhua series by Xu Chen and produced by the same team who also did the short anime version of this same title, but the live action version of the story is a slightly different take, so if you’ve read the manga or watched the anime series, you can still expect something different from the show. I’ve watched the series without English captions on Youku, but now that it’s been licensed on Viki.com, I wanted to do a review as this has been one of my favorite dramas this year. “Rakshasa Street” is about two spirit hosts whose destinies are intertwined. An Yue Xi (“Let’s Shake It, ET”) plays a college intern, Xia Ling, dealing with typical modern day life drama (finding a better job, finishing school, trying to dodge her mother’s attempts to get her to move back home and find a husband) when she bumps into (literally) a food delivery guy, Cao Yan Bing (Jiro Wang, “The Crossing Hero”, “Fabulous Boys”) whose real job is as the requiem general of Rakshasa Street. Rakshasa Street is kind of a purgatory (known as a requiem street) where the souls of the dead reside until they can either move on to heaven or, in some cases, get turned into demons by evil forces. Cao Yan Bing and his brother, Xuan Liang (played by Huang Tian Qi, “Attack It, Lightning”), are responsible for keep evil at bay as well as protecting the giant Sacred Pagoda tree in their family courtyard which is helping keep the mortal realm safe from the immortal one; a task given to them after their parents, the previous guardians, were killed in a car accident when they were young. After losing one of his guardian spirits, Cao Yan Bing has been reluctant to use the other one, instead relying on his own fighting skills and the Yamas of Ten Hells, a weapon passed down through his family. Xia Ling gets a mysterious webcam call from a masked man calling himself Gui Fu San Tong (Lou Qi, “School Beauty’s Personal Bodyguard“) warning her of danger and urging her to find Cao Yan Bing. After several mysterious events and a visit to Rakshasa Street, she learns that she, like Cao Yan Bing, is a spirit host with a guardian spirit who lives inside her, but who can come out and protect her in times of need. Guardian spirits are usually ghosts of past warriors or people with special fighting skills or powers. Her guardian spirit, Li Xuan Yuan (Liu Zhao Hong), who also has a tie to her ancestors, is locked up in chains and she has to find a way to help release him, while also learning how to be a spirit host, with the help of the masked stranger. When a group called the Kingdom Organization destroy the Sacred Pagoda, Cao Yan Bing and Xia Ling then find themselves on a journey through other requiem streets to recover a piece of the tree so that they can save it and the world while being chased by various bounty hunters and Kingdom spies. 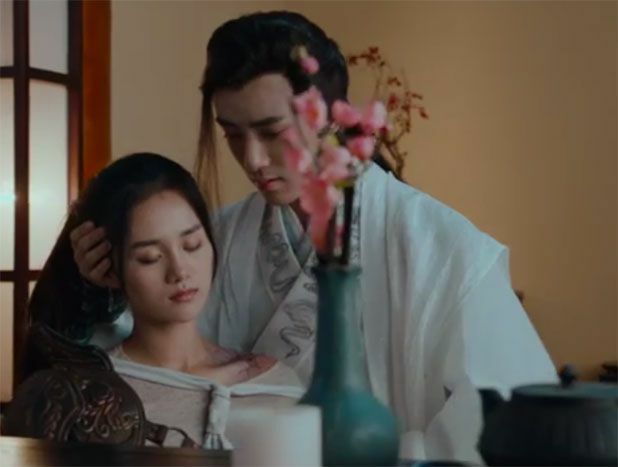 I really enjoyed the little bit of a romance between Xia Ling and Li Xuan Yuan (whom I loved despite those very bad wigs they put him in). Not to spoil what happens, but as more is revealed about Li Xuan Yuan’s history and why the Kingdom wants to get their hands on him, I was hoping that aspect would have been drawn out a little more in their story as I found her guardian’s dark side even more compelling. Usually in a Jiro Wang series, it’s all about him getting the girl, so it was a nice change up to not have that be the focus of the story. Instead he gets a bromance with Bei Luo Shi Men (Tang Guo Zhong, On Air), who was previously a cop until a personal tragedy caused him to leave the modern world and become a requiem general. The two of them have the funniest fight scene shortly after they meet as they try to battle each other while avoiding being caught by the former cop’s young daughter. Though initially at odds with one another, they eventually team up to fight the Kingdom Organization who are trying to steal guardian spirits to use for themselves. 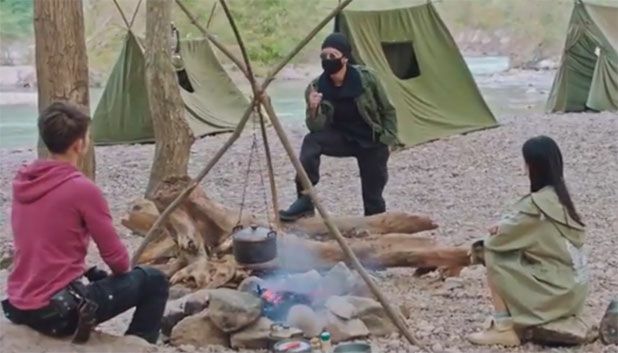 The series also has a lot of fun behind the scenes clips at the end of each episode which are quite amusing and, even though it is a drama and action series, they do blend in a lot of humorous scenes which helps keep it from being too heavy. Zhang Zi Wen (“Princess of Lanling King”) and Bai Liu Xi (“To Me, Love”) head up a crew of (very good looking) bad guys who have been trying for years to put the Cao family permanently out of business and were behind his parent’s death. 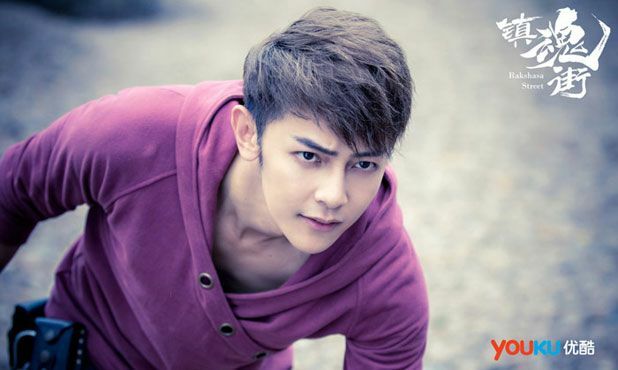 Neo Hou Ming Hao (“Cambrian Period“) also appears playing Bai Jing Xuan, another requiem street resident whose own past is linked to a Bodhi tree that is now the target of the Kingdom Organization. As Cao Yan Bing and Xia Ling begin to find more allies, we learn more about the different people and stories in this realm. Fortunately, the flashbacks in this series help propel the story forward rather than slowing it down and it makes this show much more of an ensemble piece. 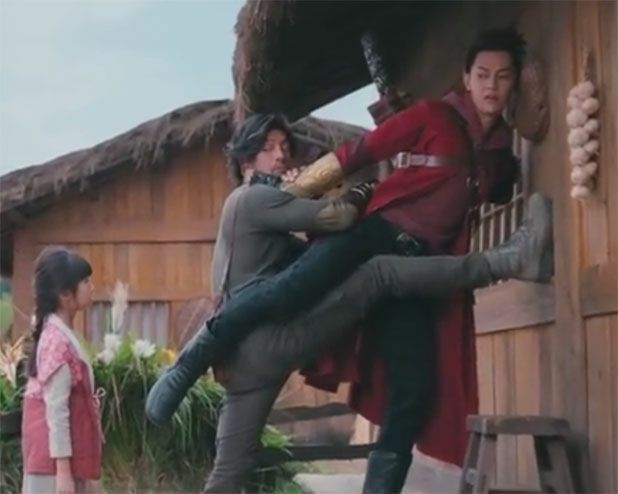 This entry was posted in Reviews and tagged An Yue Xi, Cdrama, Jiro Wang, Liu Zhao Hong, Lou Qi, Manhua Adaptation, Rakshasa Street Drama (镇魂街), Tang Guo Zhong by Enid Bee. Bookmark the permalink. I’m watching this web drama and was just lamenting how it isn’t getting the recognition it deserves! The plot is different and not cliched where you can constantly guess what happens next. The casting is is perfect (Jiro and An Yue Xi are a great duo) and the secondary characters are well interesting. The CGI is also very good and tastefully done (if only other cdramas could learn from it *sigh*). I only watch this drama for Xia ling (An yue xi) and li xuan yuan (Liu zhao hong) there scenes are 5% of the drama. But I really like their story and little bit romance. I wish for season 2 with more Xia ling and li xuan yuan romance. Perhaps goodbye theme song I love it. I’m enjoying it. i did watch the anime while I was waiting for subs. Even watched a few episodes raw. I welcome the lack of “romance” so far, as the story doesn’t need it at this point. CGI is well done. Is there going to a season 2 for Rakshasa Street?? I just finish it in a couple days.